Demonstrating airworthiness and/or obtaining certification for aircraft modifications is key to providing comprehensive solutions to our customers. Our engineering substantiation and flight test capabilities enable us to produce the vast majority of data required for airworthiness certification in-house. We have experience with complex DoD FMS airworthiness efforts, FAA STC efforts, and international direct commercial sales efforts. 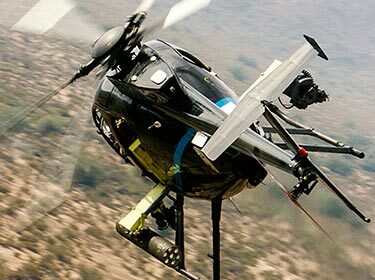 We are comfortable augmenting your certification effort or managing the entire process to include interfacing with the appropriate airworthiness authority. Fulcrum is very experienced in developing, collecting, packaging, and managing the substantiation data required to obtain an airworthiness release, commercial certification, or international certification. We are very comfortable managing the process or simply assisting as required depending upon customer needs. 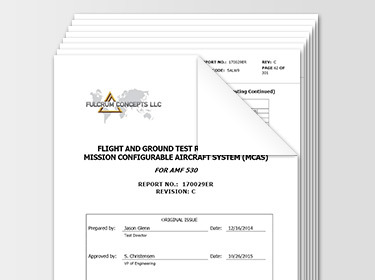 Fulcrum is fully capable of managing the entire flight test process. We have commercial, military, and hybrid experience. We work closely with our customer and assist in AQP development as required. Then we develop an AQS to satisfy the AQP requirements. A large part of that is developing the test plans that provide the road map for executing the program to the appropriate standards, and the test reports that document the results of the flight test effort in order to substantiate changes affecting performance and maintenance requirements.